The percentage of payouts increase as the value of each league increases. We offer $25 leagues with payouts so there is no reason to pay $15 for a free league when you can join a money league for as little as $25! Join a higher priced league and win BIG! Win 8, 9 even 10 times the original cost of the league! ---> Every league pays the total points winner. This is decided by the regular season points leader after 13 games. 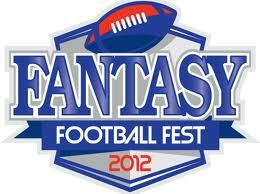 ---> Win the Fantasy Bowl and be the total points winner, you receive 2 cash prizes. ---> If you had the best regular season but run into a string of horrible luck and don't make the playoffs or lose early in the playoffs, you at least get a cash prize for being the total points winner! In the Payout column in the leagues section, you will see either 2, 3 or 4. Each format pays out the same percentage but differently for each place and for the total points leader. The Championship Payout Leagues (2 Payout) pays the 2 owners that participate in the week 16 fantasy bowl and the regular season points leader. The Top 3 Payout Leagues (3 Payout) pays the 2 owners that participate in the week 16 fantasy bowl and the 3rd place owner that wins week 16 in the consolation bowl (the consolation bowl consists of the 2 owners that lost in week 15. The regular season points leader also receives a payout. The Final Four Payout Leagues (4 Payout) pays the 4 owners that make it to the semi-finals (weeks 15 & 16) and the regular season points leader. You must go to your league homepage to claim any payout once the season ends. All checks will be sent at the same time regardless of when you claim your payout.